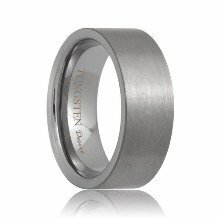 The Gresham tungsten carbide wedding band features a beveled profile with a highly polished finish. 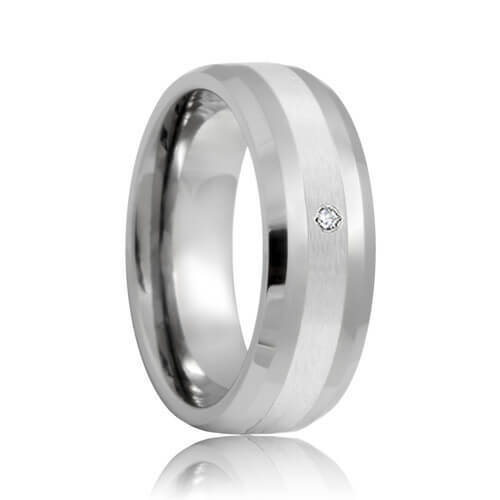 There is a strip of precious metal 950 platinum inlaid into the center of the ring that runs along the perimeter. The cooling color of platinum provides a smooth transition with the cool gun metal gray color of tungsten carbide. 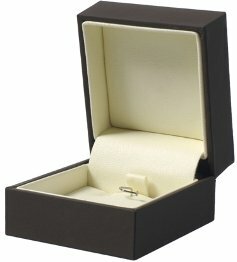 In the center of the ring is a diamond solitaire stone for added luxury. 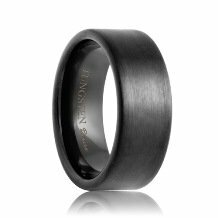 These are the perfect bold and powerful tungsten wedding bands for anyone who wants to make a strong statement. This style is made to order so please allow 5 - 10 business days to manufacture and ship. Free Lifetime Warranty and Lifetime Sizing; pay no restocking fees or deductibles! 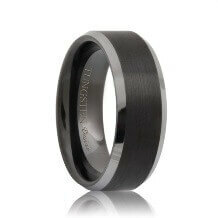 My fiancé and I decided to get this tungsten wedding band from Tungsten Rings and Company. Let me just say, the customer service we received from the staff was exceptional. 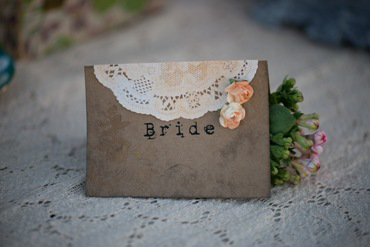 We were nervous at first about buying jewelry online, but the customer service eased all of my issues and provided great information. 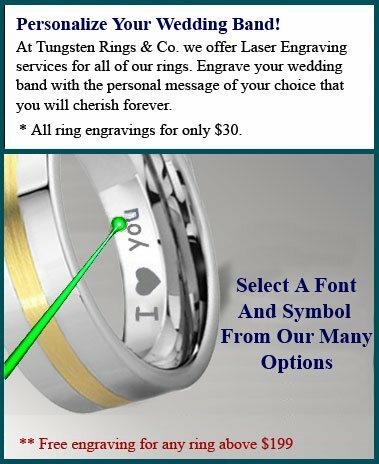 They convinced us that Tungsten Rings and Company is the way to go. 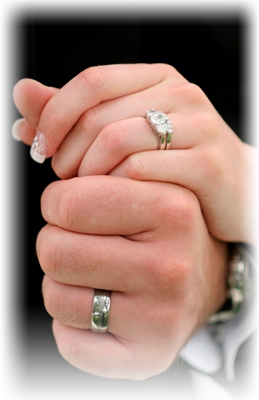 They did not disappoint us; the wedding bands are breath taking. 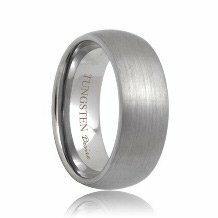 If I ever need tungsten jewelry in the future, it will be a no brainer. Tungsten Rings and Company hands down! Thank you all!